A maximum of 15 tickets can be purchased per billing address. Orders that fail to adhere to published limits are subject to cancellation without notice. April 13, 2019 | 3:30pm - 6:30pm EXPIRED STILL AVAILABLE! Waiting List for April 13, 2019 | 3:30pm - 6:30pm EXPIRED STILL AVAILABLE! Please fill out your information and we will notify you of any cancellations. We'll contact this list on a first-come-first served basis. July 27, 2019 | 3:30pm - 6:30pm STILL AVAILABLE! October 26, 2019 | 3:30pm - 6:30pm STILL AVAILABLE! Want to see the Summit's Connections processes in action? Join us for a volunteer training, newcomers event, or worship service! You'll sit in on a First Impressions Training and then stick around for an optional observation of a weekend service. 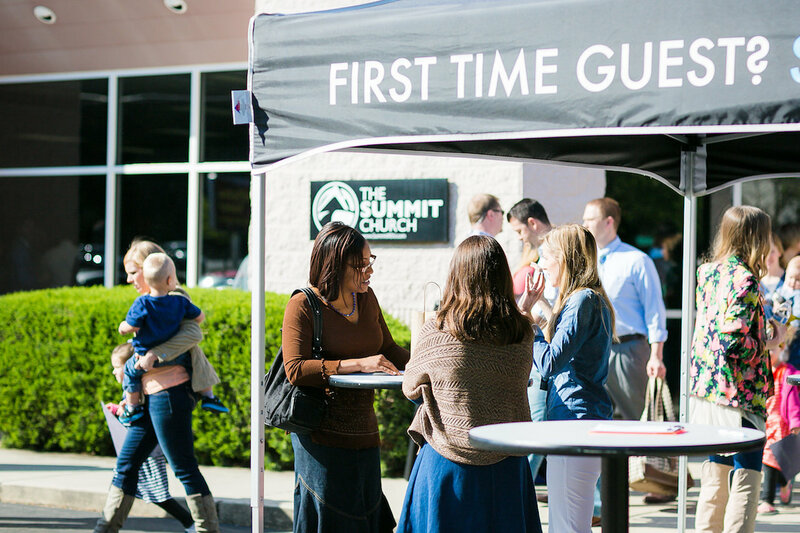 A half day or full weekend at the Summit Church in Raleigh-Durham, North Carolina. First Impressions weekenders are on Saturdays from 3:30 - 6:30 PM. Anyone who considers connections ministry part of their job description. Weekenders are open to full-time or part-time staff members, ministry interns, and key volunteers. Teams are welcome. Feel free to bring your staff or a group of volunteers. Each Weekender has limited space in order to keep debriefing conversations as productive as they can be. ...a front-row seat to see the Summit's processes for guests and volunteers. ...a copy of the curriculum we use for guest service teams. ...a time of Q&A to cover additional questions you might have.